It was a sunny Thursday on April 12th. I was out metal detecting my local school grounds in hopes of finding spare change and maybe some lucky silver. I was nearing some trees beside the parking lot of my high school and got a blasting 81 Signal. That normally means a dime or copper penny. 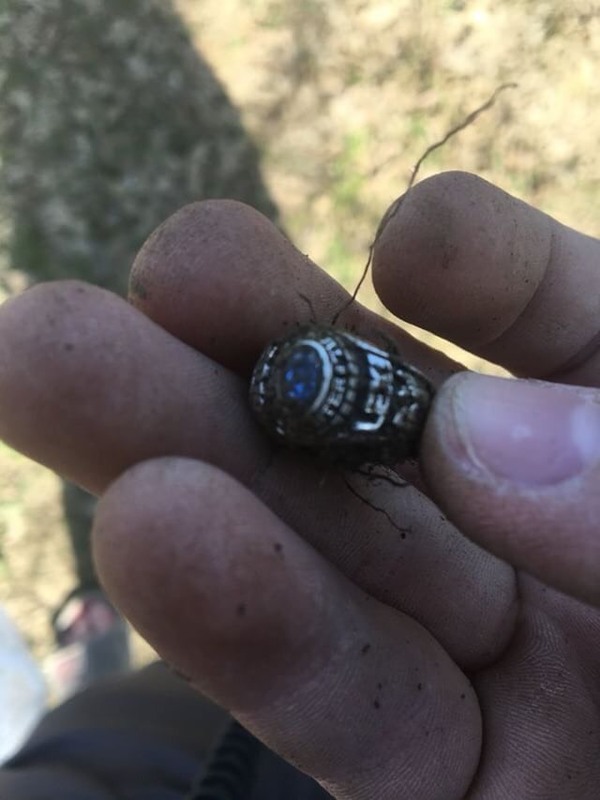 When I popped the plug, out came a class ring from 2010! The class ring wasn't even from my school. I turned to Facebook to do some research. Within an hour of finding it, I was able to find the owner all the way in Tennessee! 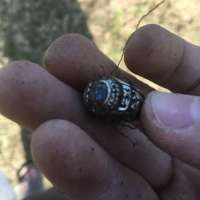 I was able to mail and return the ring within 4 days of it being found. It was definitely an adventure to remember forever!